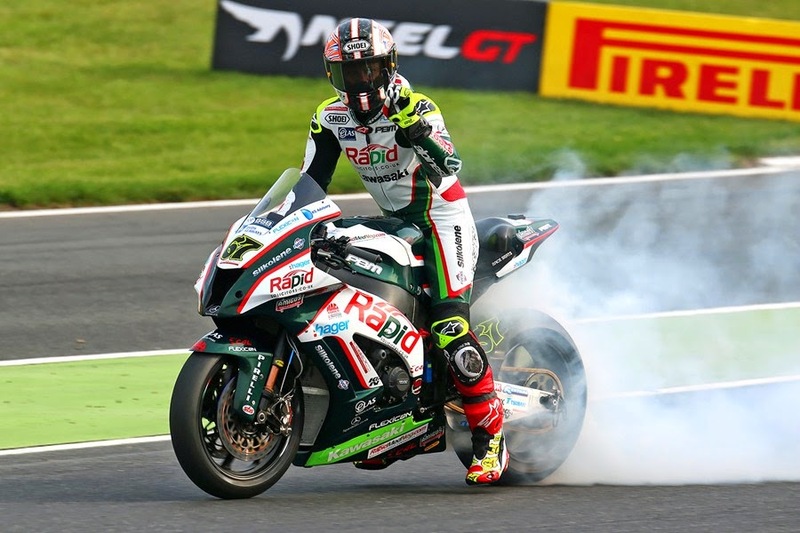 Championship leader Shane Byrne will start tomorrow’s British Superbike race from pole position ahead of GBmoto teammate’s James Ellison and Chris Walker making it an all-Kawasaki front row at Brands Hatch. Milwaukee Yamaha’s Josh Brookes had a tough afternoon down south as he set the fastest time in Q1 before crashing coming out of Westfield Bend which caused the session to be red flagged, however Brookes walked away unharmed. With minimal damage done to his R1, Brookes was able to go back out and make it into Q3 although he crashed for a second time, at Sheene Curve in the closing minutes of the session leaving him down in 8th position on the grid. After a recent resurge in form, Ryuichi Kiyonari finished Q1 fastest, setting a time of 1.26.859 at the end of the session to take him top on his Buildbase BMW machine. The Japanese rider finished Q3 in sixth position meaning he will start the race from the back of the second row. Rookie Lee Jackson qualified in 19th position on the grid after a strong opening qualifying in the MCE BSB class for Buildbase BMW, making it through into Q2 after a fast lap in the final minutes of Q1. Lloyds British GBmoto had a strong qualifying session with both riders finishing on the front row following a final surge in the closing minutes of Q3. Ellison and Walker finished Q1 in 3rd and 5th respectively, and after finishing lower down in Q2 they were both able to qualify 0.058 from pole position with Ellison giving Walker a tow on the closing laps. For a full list of times click here.